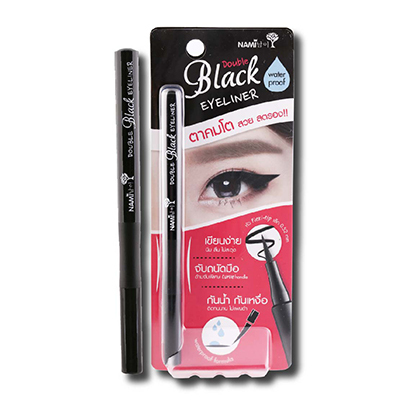 The Nami Double Black Eyeliner can be used for 2 styles, thin line around eye socket to enhance the eyes for a natural big eye effect, and clear and thick line with our darkest pigment for a beautiful and intense look. Concave handle designed specially to fit the hand while gliding. Waterproof and sweat-proof, fast-drying, long-lasting, no-splotches, and easy to rinse off.